Professor Stefan Hoffmann is director of the Institute of Business Administration, esp. Marketing. He received a diploma in psychology from the University of Mannheim (Germany) in 2003 and doctoral degree in 2008 and a second promotion (habilitation) in 2011 in business administration from the Technical University of Dresden (Germany). From 2011 to 2012, he worked as interim professor in Marketing at the Technical University of Dresden and later at the University of Rostock (Germany). Since November 2012, Stefan Hoffmann is working as professor of marketing at Kiel University (Germany). His research is founded in psychology and he is working with empirical methods. His main research interests are transformative consumer behavior, communication, cross-cultural marketing, and health marketing. Hoffmann, S., Franck, A., Schwarz, U., Soyez, K., & Wünschmann, S. (2018). Marketing-Forschung. 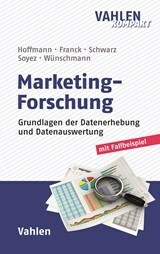 Grundlagen der Datenerhebung und Datenauswertung. München: Vahlen. 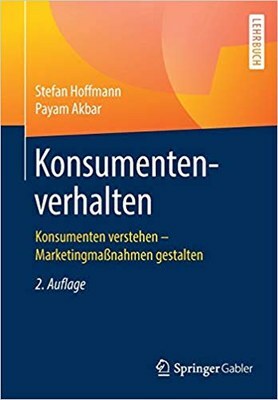 Hoffmann, S.; Akbar, P. (2018). Konsumentenverhalten, Wiesbaden: Springer Gabler. Hoffmann, S.; Hutter, K. (2014). Professionelles Guerilla-Marketing, Wiesbaden: Springer Gabler.